Surface water in car parks is a very familiar sight. During cold weather that surface water can cause icy conditions. 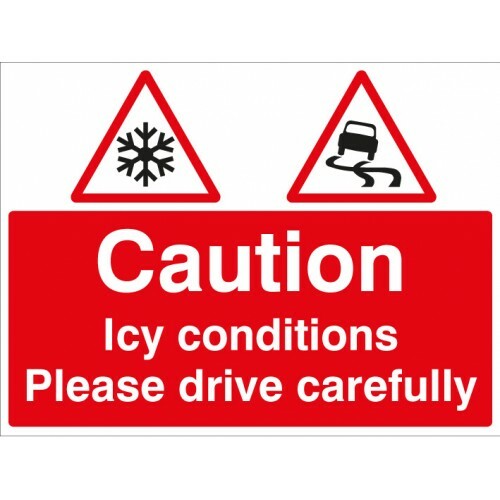 Remind drivers to be more cautious during times of cold weather with this Caution - Icy conditions, please drive with care sign. Designed to the specifications of ISO 212 - 28 Water Safety Signs Material Options Explained Below is a more detailed description of the materials this particular safety sign is available in. Helping..